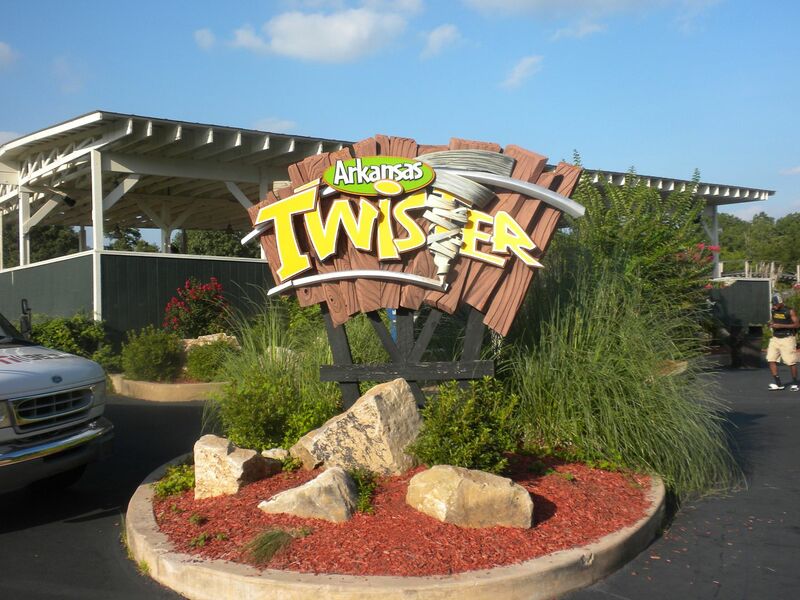 While I was in Texas visiting my aunt in Tyler I made the 4 hour drive to Magic Springs & Crystal Falls Water & Theme Park in Hot Springs, AR on Friday, July 25. 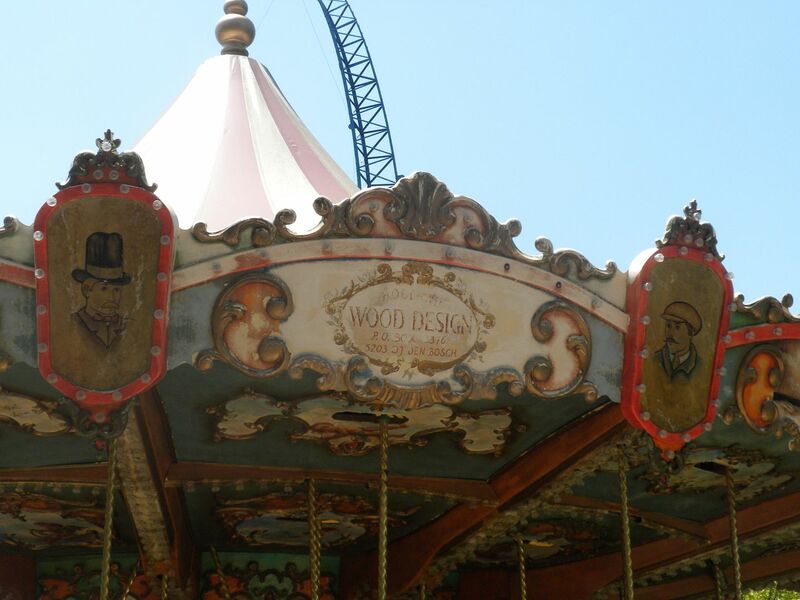 My only other visit to this park was in 2009 and the park was having significant issues. 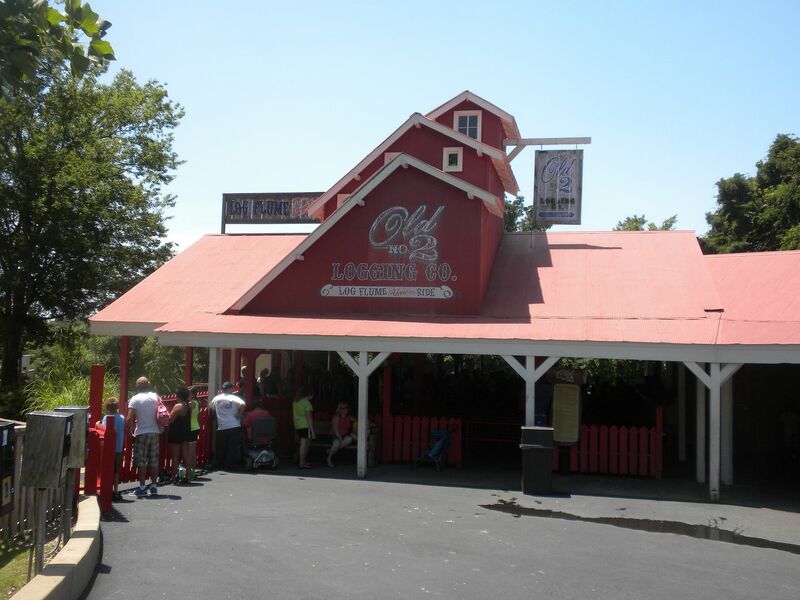 The park’s ownership had just transitioned the previous year from Parc Management to CNL and for various reasons about half of the rides, including 4 of the 6 coasters were closed. 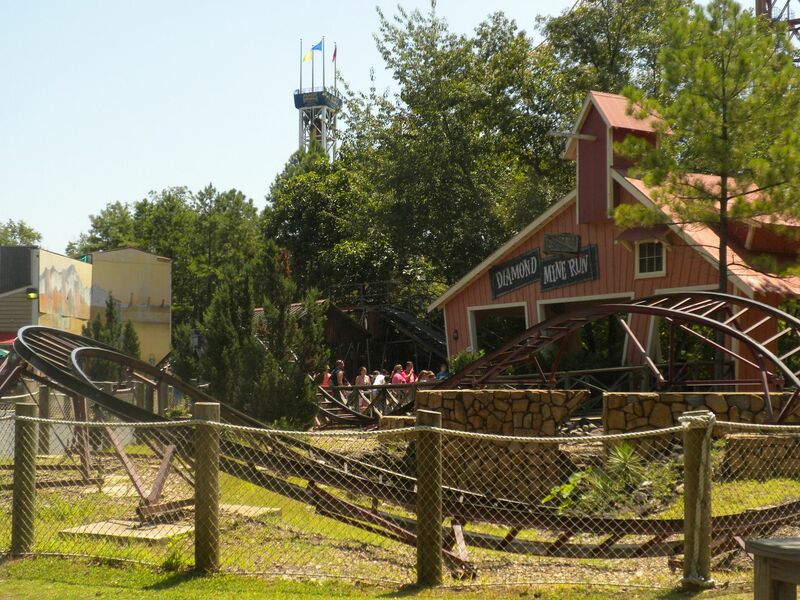 Later that season they got their act together and got most of the rides open, but it left us that day missing out on 4 coasters, including a relocated wood coaster and a twice relocated mine train. They later removed a mouse coaster, but since then I have tried to figure out a time to get back to this park for my missing 3 credits. This day would certainly turn out better than my previous day, but it was not without issues. I arrived just before the park opened. Once inside I made my way to the wood coaster. The park’s layout is somewhat confusing as the wood coaster is the only dry ride located to the left when you enter and you basically have to walk through the water park to get to it. It was not open yet, so I backtracked around to the other coasters. In line for the mine train, it had a mechanical issue with the lap bars that closed it for over an hour. 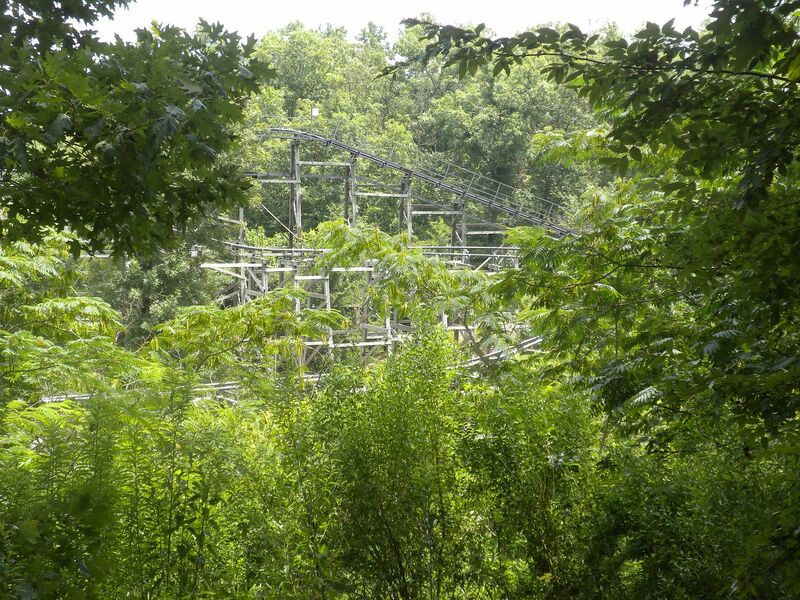 I moved on to get the Skyloop credit, but it took me 4 treks through the waterpark to the wood coaster before it was open. I even went to ride the SLC while I waited and it broke down. 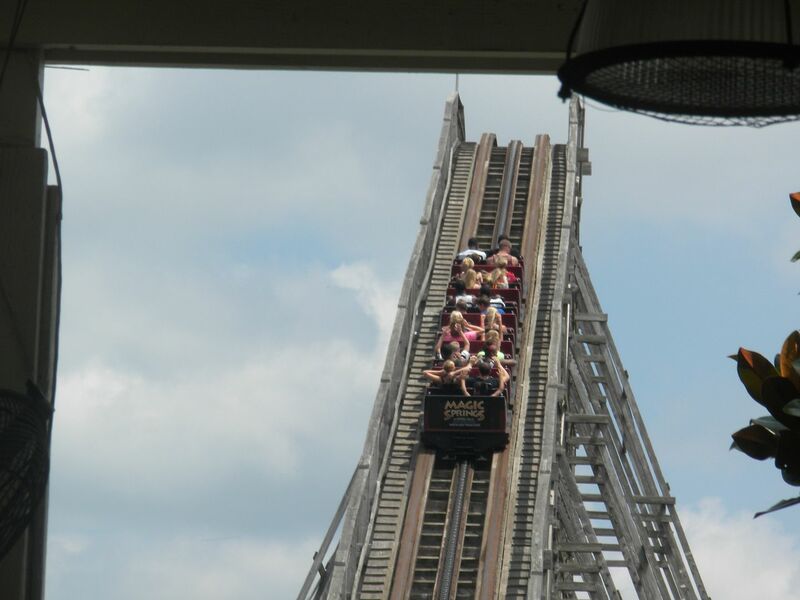 Many rides opened late, some without signs to that effect, operations were extremely slow, and there were several issues throughout the day, but after the first 2 or 3 hours things improved considerably. 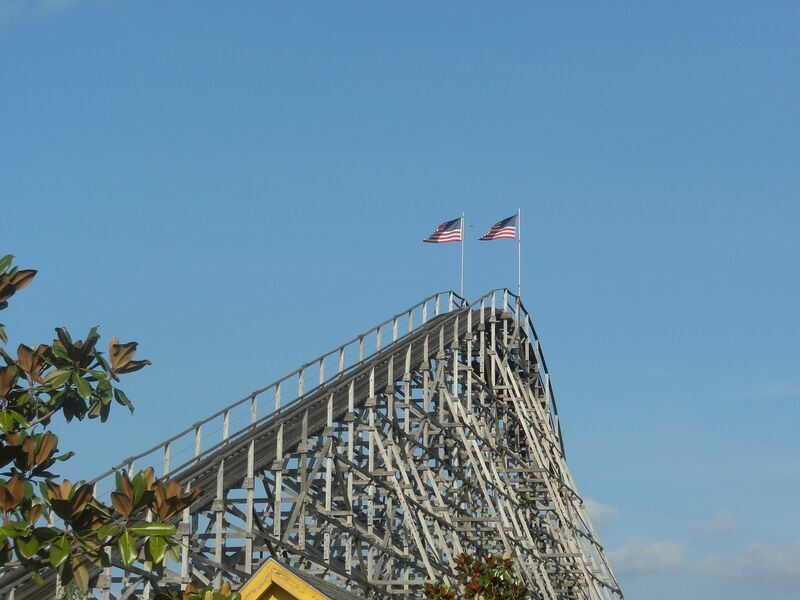 Opened as Roaring Tiger at the defunct Circus World in Haines City, FL in 1978, it became Florida Hurricane when the park became Boardwalk and Baseball in 1987. 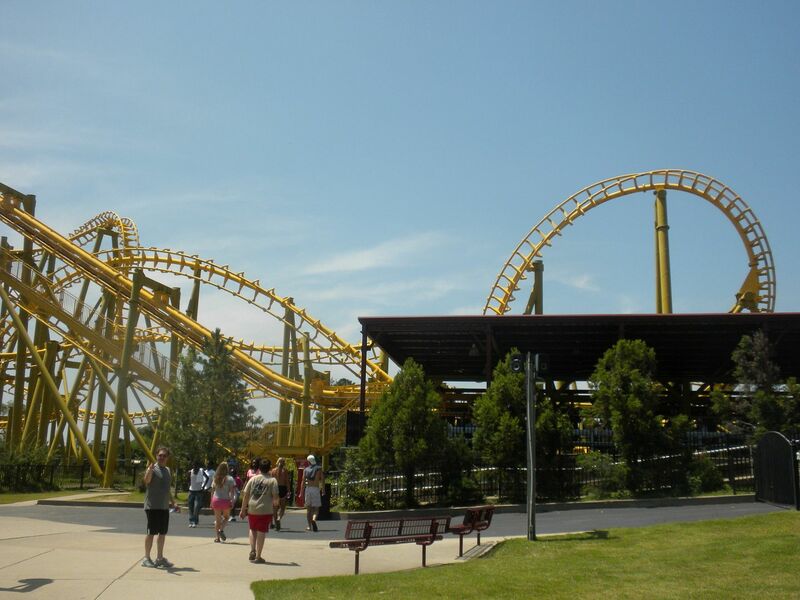 The park closed in 1990, and the coaster was relocated to Magic Springs in 2000. The ride is running fairly well, but does have some significant roughness in an unlikely spot – at the tops of hills. Fortunately these gave some airtime, so the roughness from the upstop wheels was not felt as much. I like the layout of this out and back. It has one hill on the return that slows it down considerably, but the resulting bunny hops are good. I also like the long turnaround at the end – 6 rides. 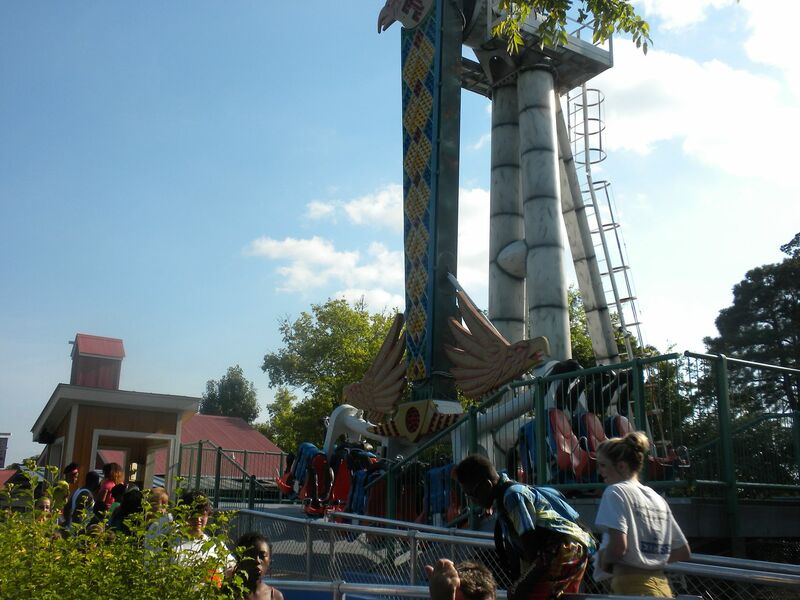 X-Coaster: (Maurer Söhne, SkyLoop XT 150, 2006) I have ridden a couple of these rides in Europe. They are thrilling, but somewhat of a one-trick pony. 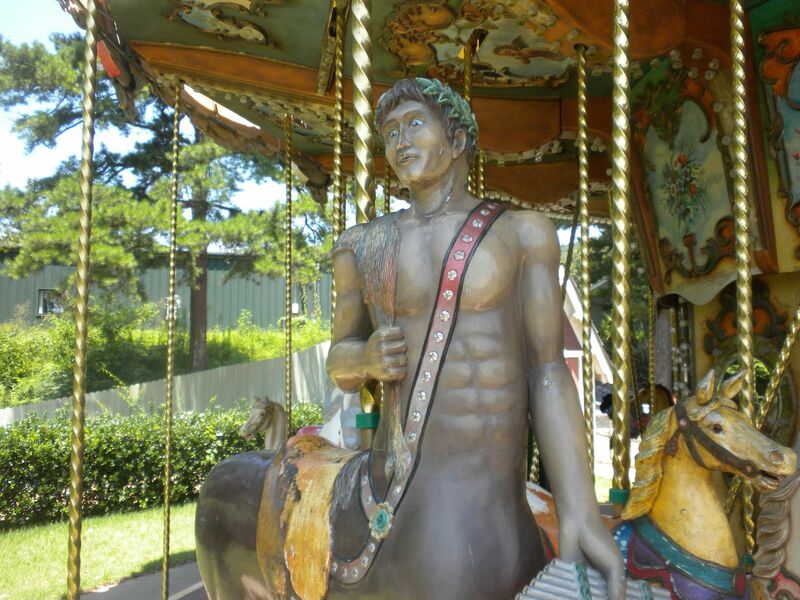 The park decided to sell this one several years ago to Elitch Gardens, but as the story goes, when they realized it was welded together rather than bolted, they have continued to keep it for the time being. 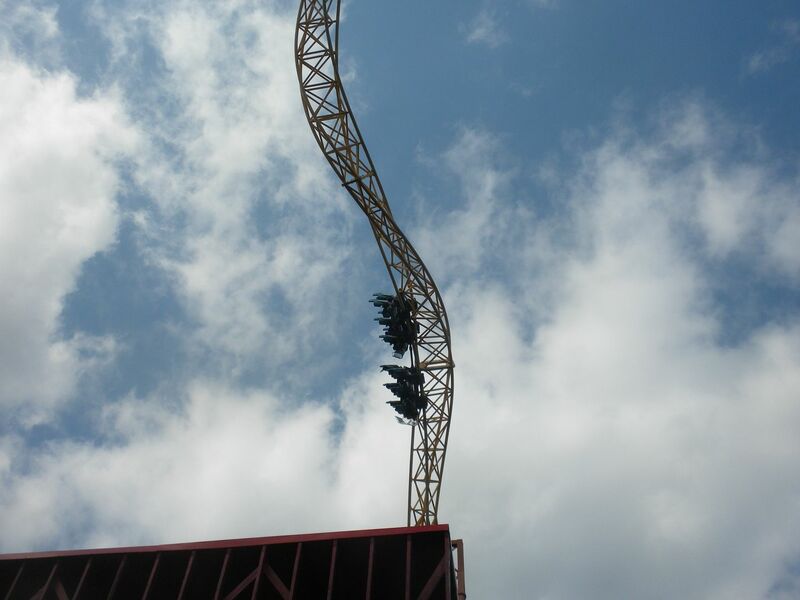 I think it is good that they continue to have it as it provides a highly thrilling ride to their lineup – 2 rides. 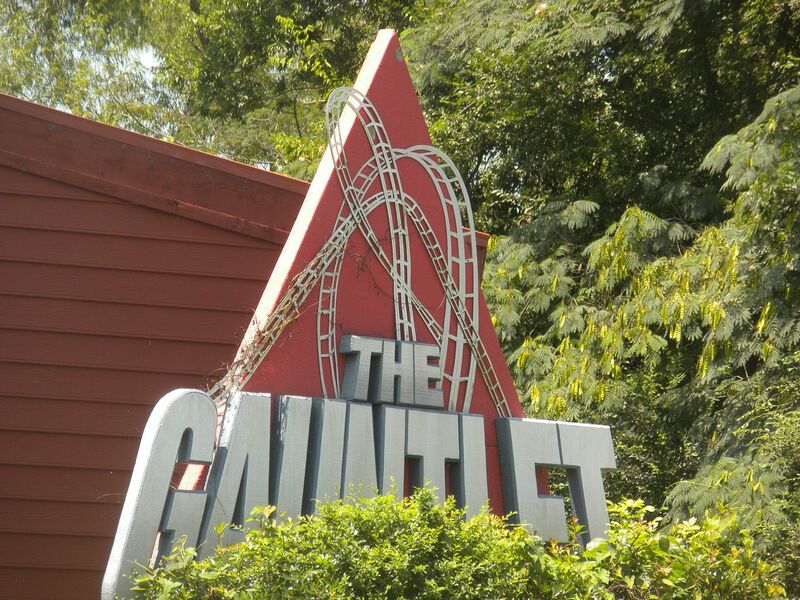 Gauntlet: (Vekoma, Suspended Looping Coaster, 2004) While I did get this credit previously, I rode it again. 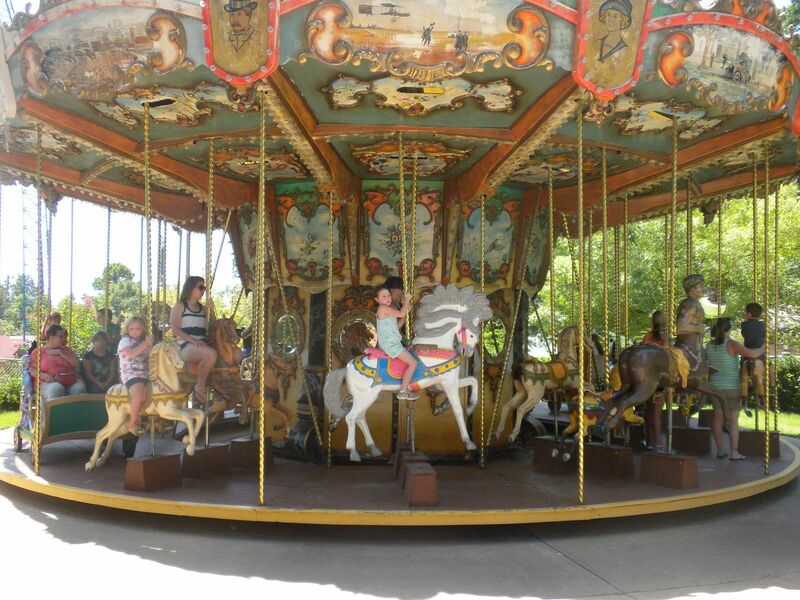 It broke down when I first went back, but I got to ride it later in the day. It gives the standard SLC ride with some roughness – 1 ride. 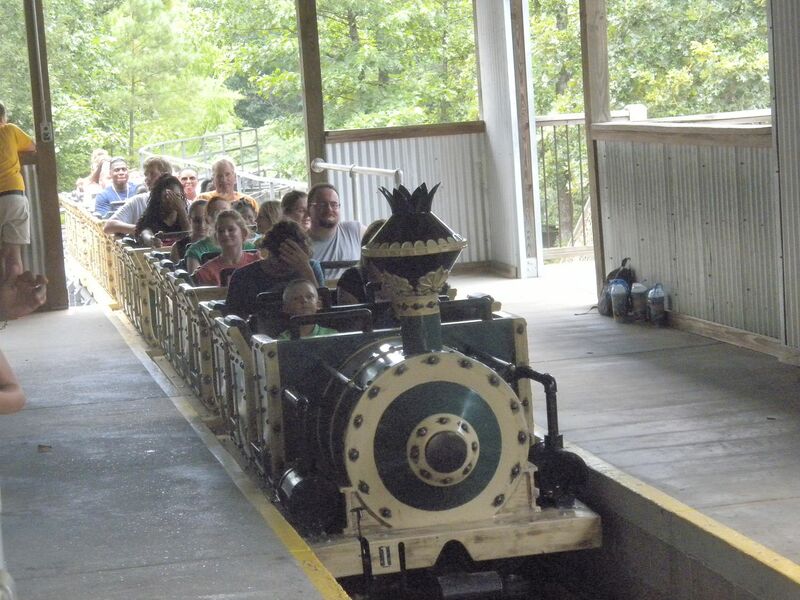 Opened in 1971 as half of the twin coaster River King Mine Train at Six Flags Over Mid-America, it was relocated to Dollywood in 1989 as Thunder Express and then to Magic Springs in 2002. After a long time down, it reopened. 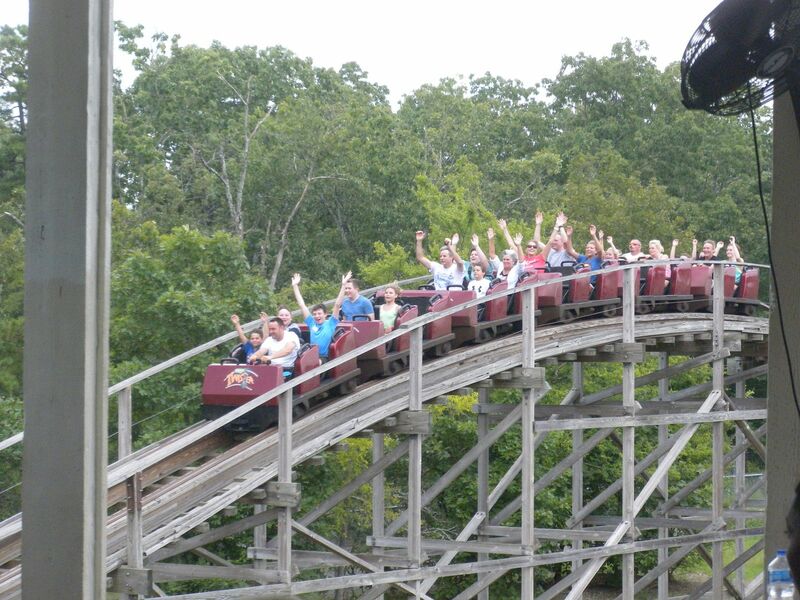 It gives a good ride, and it was interesting riding it as the mirror image of the side that still remains and I have ridden on several occasions at Six Flags St. Louis. It has 3 lift hills, and I particularly like the helix in the middle and the tunnel at the end. 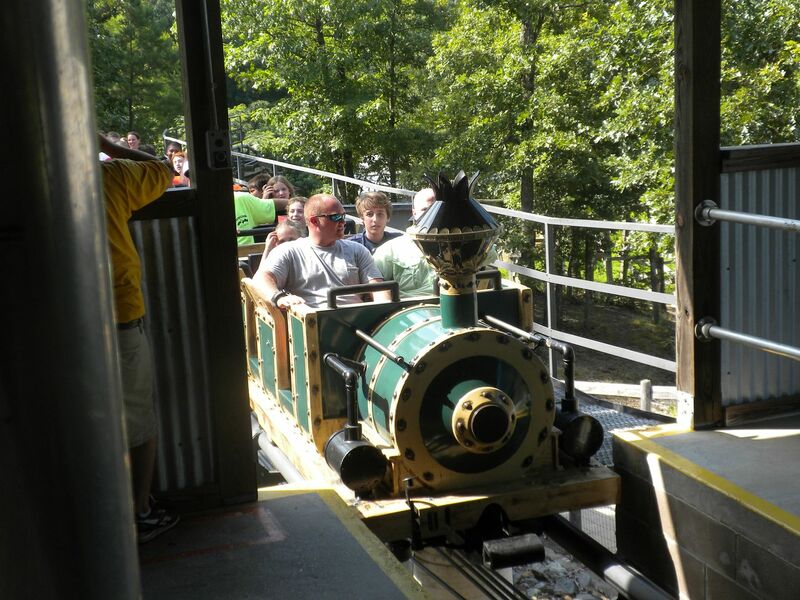 Operations are extremely slow and it only runs with one train, further making loading slow for a significantly long ride – 3 rides. 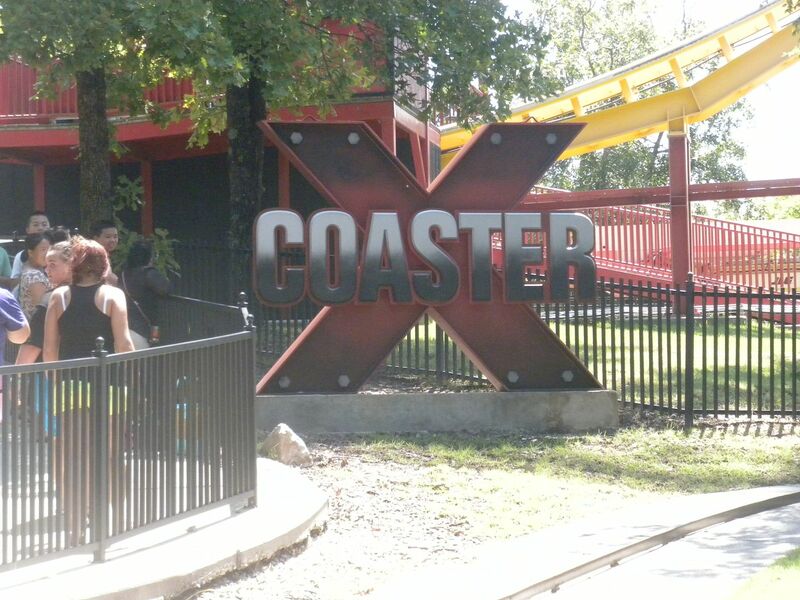 This kiddie coaster that I rode on my previous visit is good, and it makes 2 rounds – 1 ride. 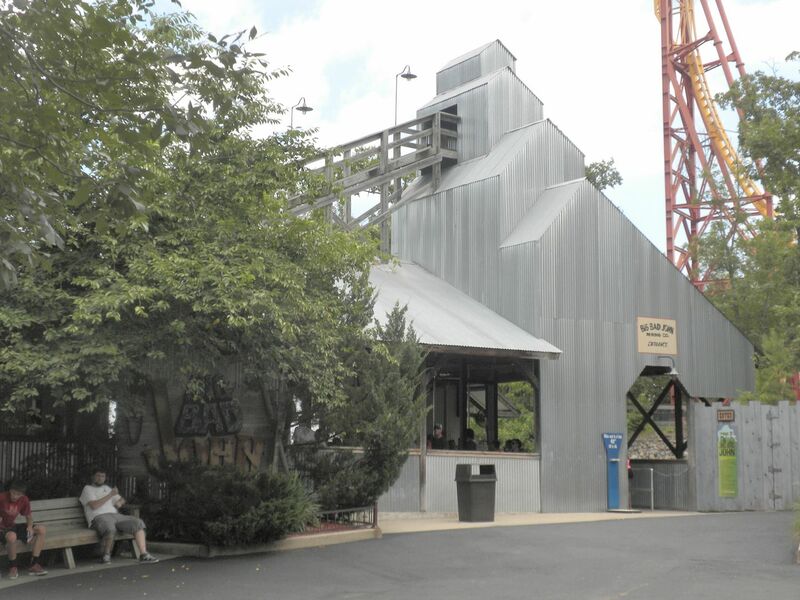 Dr. Deans Rocket Machine: This drop/ launch Tower gave a good ride – 1 ride. 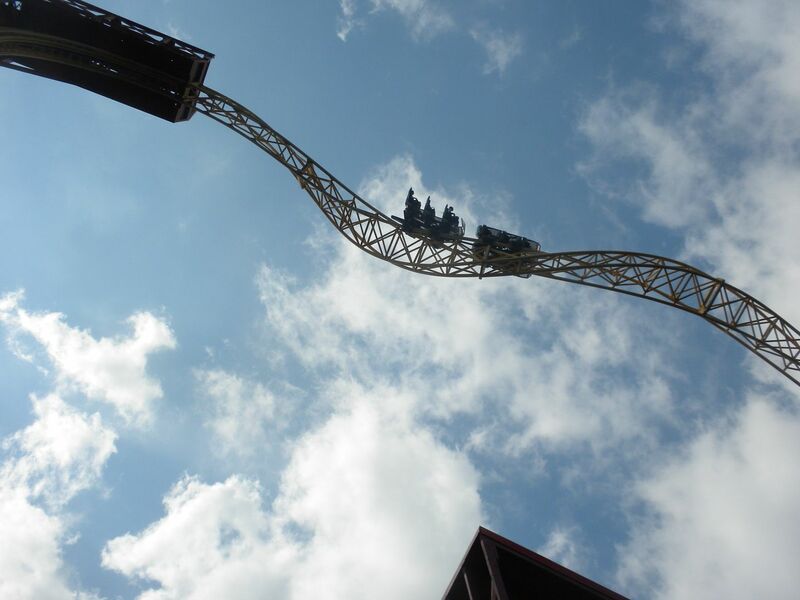 Wild Thang: This intense inverting flat is good and has some interesting maneuvers – 1 ride. 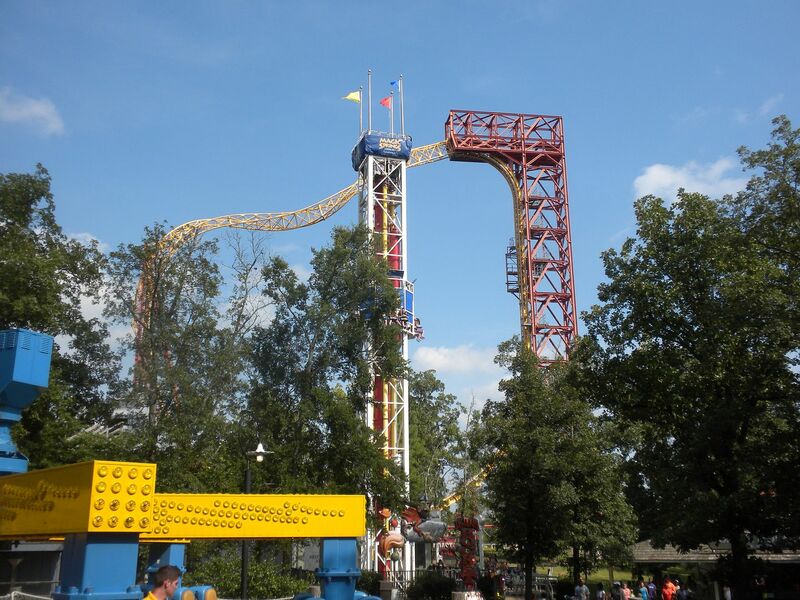 The Hawk: This inverter was fun and gave a good ride with 9 inversions – 1 ride. Rum Runner Pirate Ship: This smaller pirate ship with a nice lake setting gave a fairly good ride – 1 ride. 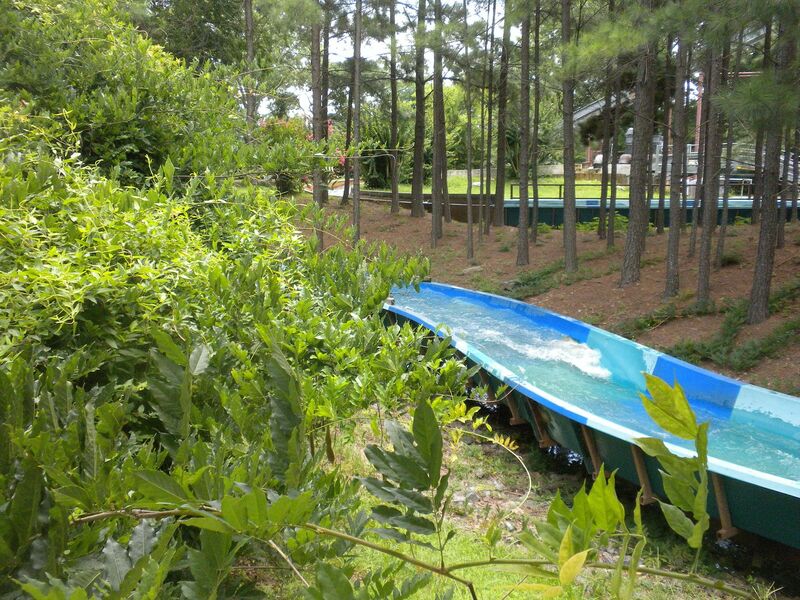 This flume has a nice setting that is partially wooded, and it has 2 drops. 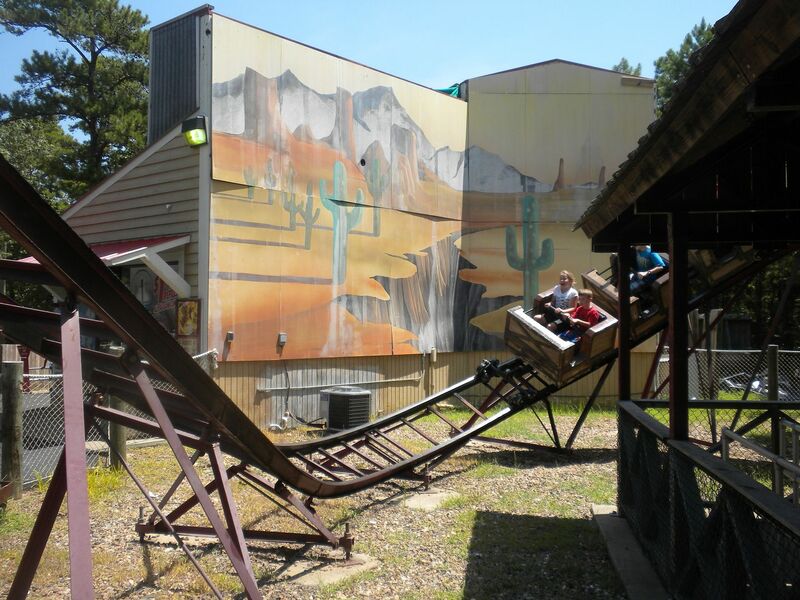 Its best feature is a long, curved arbor tunnel that is one of the neatest features I have seen on any flume ride – 1 ride. 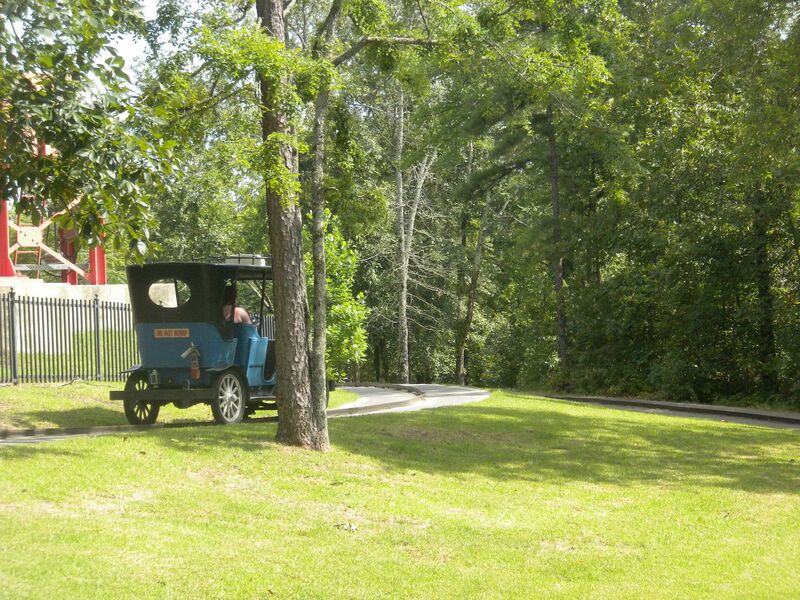 Ozark Mountain Taxi Company: These antique cars have a nice hilly course, but operations were terrible. In spite of a full queue they were running only 3 cars and one of them cut off every time it came around, having to be restarted by the mechanic, who was on full time duty at this ride – 1 ride. 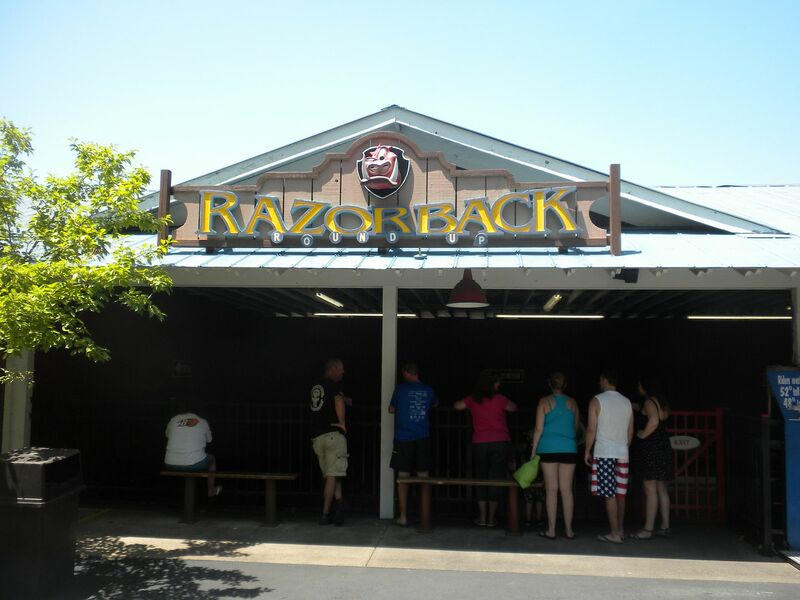 Razorback Roundup Bumper Cars: Although small with few cars, these were good – 1 ride. and very old. It gave a good ride – 1 ride. Plummet Summit, the Shoot-the-Chutes ride was closed most of the day and finally opened just before I left, so I did not ride. 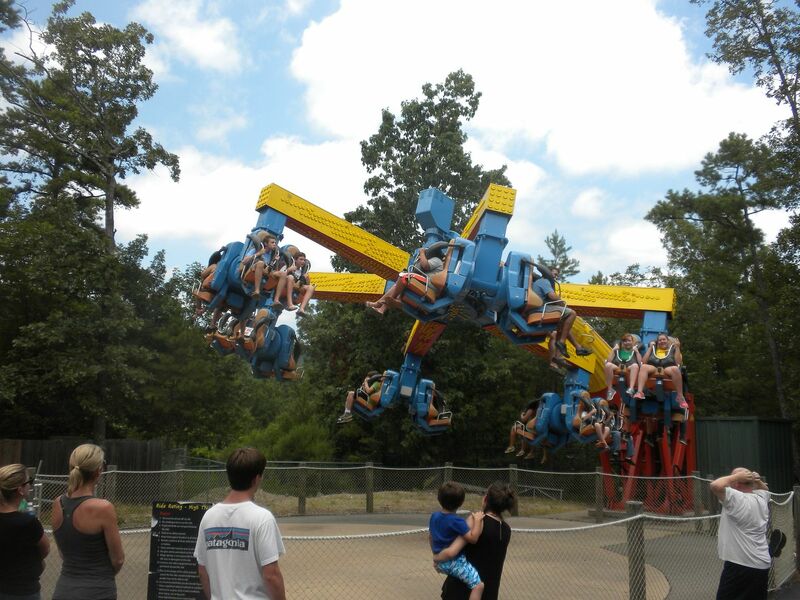 Their new ride this year is a pay-extra sky coaster, SkyShark, which I did not ride. 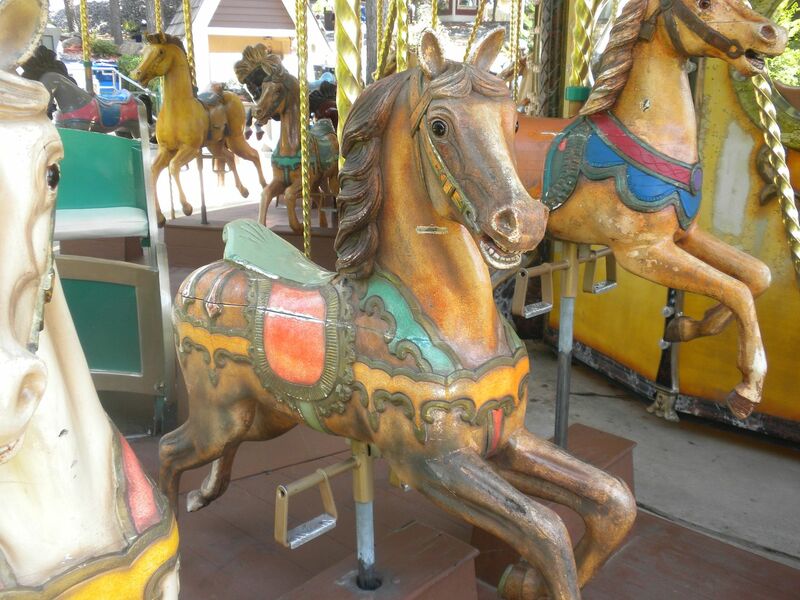 Children’s rides include: Fearless Flyers, Kit ‘n Kaboodle Express, Clown Around, Looney Ballooney, Bugga Booga Wheel, Li’lLeapin’ Lizards, and Krazy Kars. I did not spend any time in Crystal Springs, but it looks like a nice water park and certainly was attracting a crowd this day. 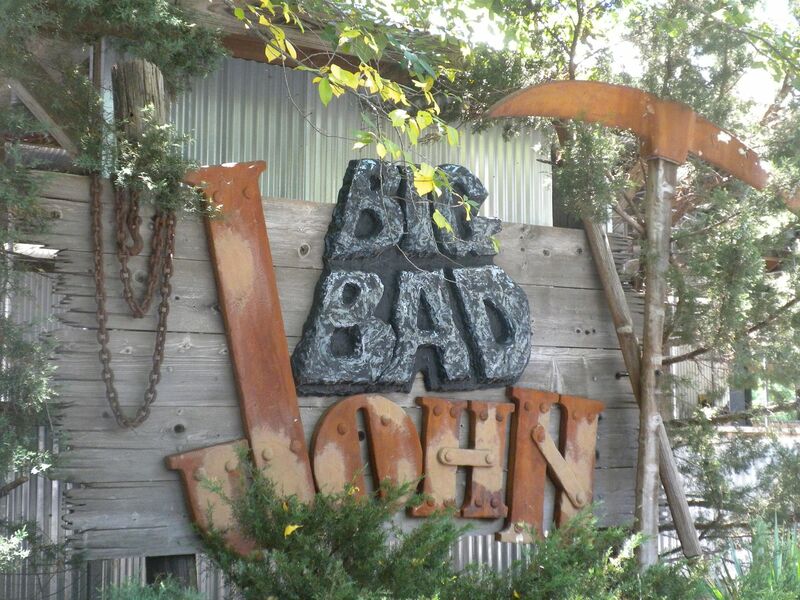 Attractions include: Boogie Blast, a surf simulator; Rapid Falls Raceway, a racing speed slide; Seven Falls Slide Tower; High Sierra Slide Tower; Splash Island, a family slide and play complex; Crystal Lagoon Pool; Kodiak Canyon Adventure River, a lazy river; Crystal Cove Wave Pool; Bubble-Up Pool and 2 kiddie attractions, Bear Cub Bend Children’s Activity Area and Grizzly Creek Family Splash Zone. Of note about this park is the fact that the Sky Hook that I used to ride as a child at SFOG came here after it left my home park. While it is long since gone, that is an interesting connection for me. 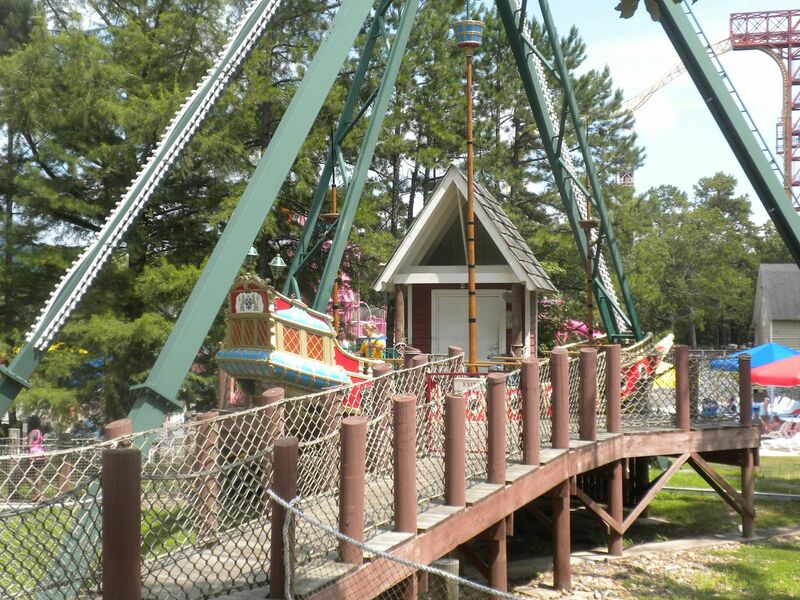 It seems this park has had quite a history of bringing in relocated attractions, giving them new life. As for my visit this day, while I was somewhat concerned about the poor operations that got my day off to a bad start, by early afternoon things had improved considerably and I had a good day overall. Hopefully I just hit them on a bad morning and these issues are not indicative of regular operations. 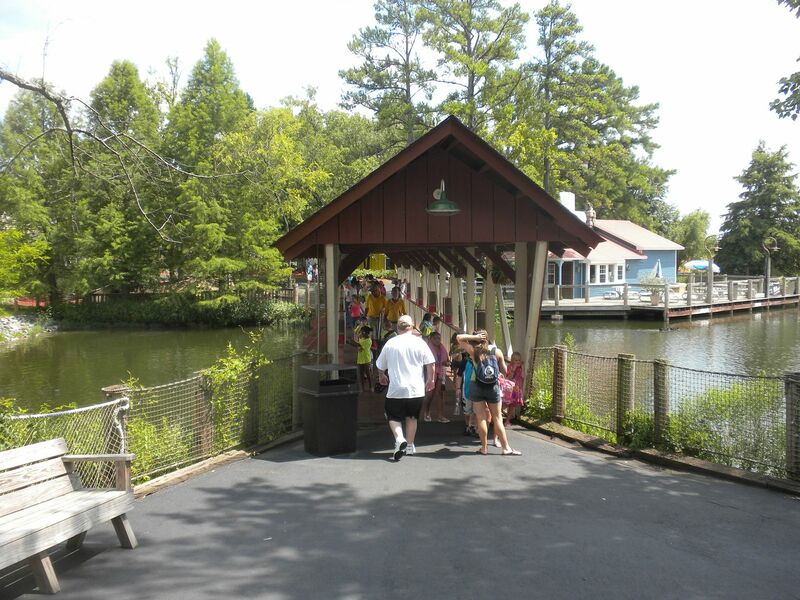 While they have a relatively small number of attractions, what they have is good and the park is nicely landscaped and looks quite nice. Although its layout is a bit confusing at first, once I had found my way around again, it is very manageable. The water park adds a nice attraction that helps keep the park popular. Overall I enjoyed my visit.